Gold Plated Red Pendant Set . This Set Is Simple And And Well Crafted For A Regular Occasion On Indian Dresses. 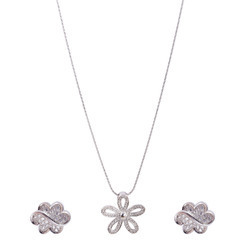 The Chain Is Contemprory That Gives The Set A Rich Look. Made in 22 carat gold. Studded with Polki in Kundan Meena Work. Jadau Kundan Pendant Set . Available in red and white colour centre stone. Our company is an excellent provider of top notch quality Beaded Pendant Set around the market. We offer to our customers an expanded and rigorous range of these pendant set in different stylish patterns and trendy designs. 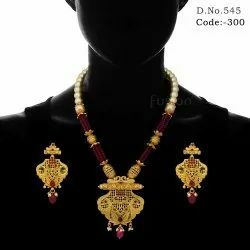 These Beaded Pendant Set are highly demanded due to their Red Quartz studded beads and Kemp stone work. We have a diverse collection of Sterling Silver Earring Pendent Set for our clients. The range includes various earrings, pendants, necklaces, rings etc., made out of 92.5 sterling silver. We offer these in various designs, patterns, shapes and sizes. Our range of sterling silver jewelery is highly appreciated in different markets. By keeping track with latest fashion of the market, we are crafting, exporting and supplying a wide collection of Antique Pendant. These are appreciated for their innovative designs and clients can avail these in various sizes and shapes to match their requirements. Further, these are crafted using best quality raw material.